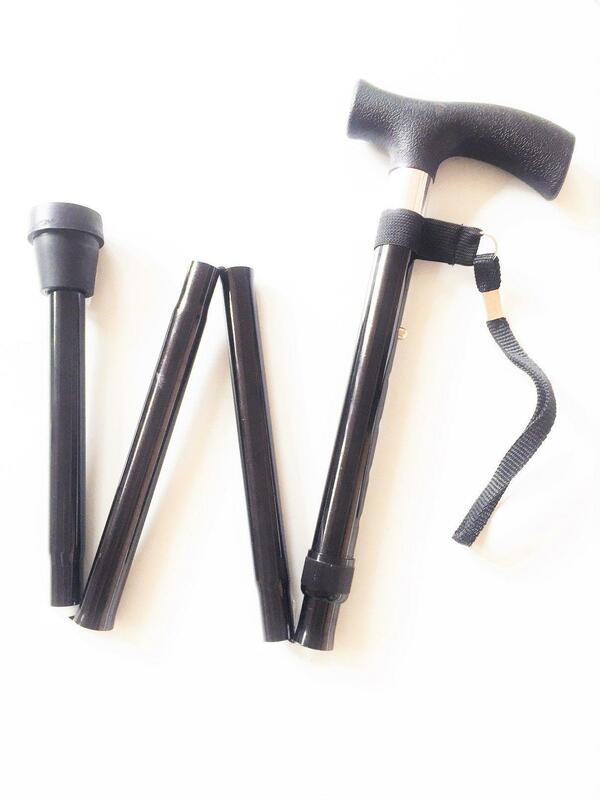 This Adjustable Folding Walking Stick is lightweight and folds away neatly, for easy storage when not in use. The walking stick has a "T'' shaped textured plastic handle and comes with a wrist cord to help avoid being detached when in use. 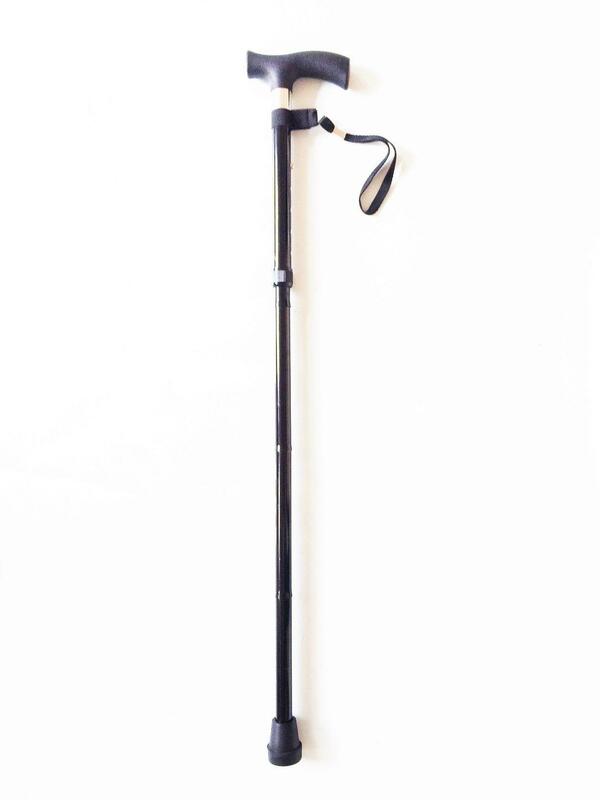 With a stylish chrome trim, heavy duty ferrule and black aluminum shaft this adjustable folding walking stick is extremely light and gives very good value for money for those that need that extra assurance for walking or manouvering around.